Risparmia $13.00 scegliendo ora questa opzione. 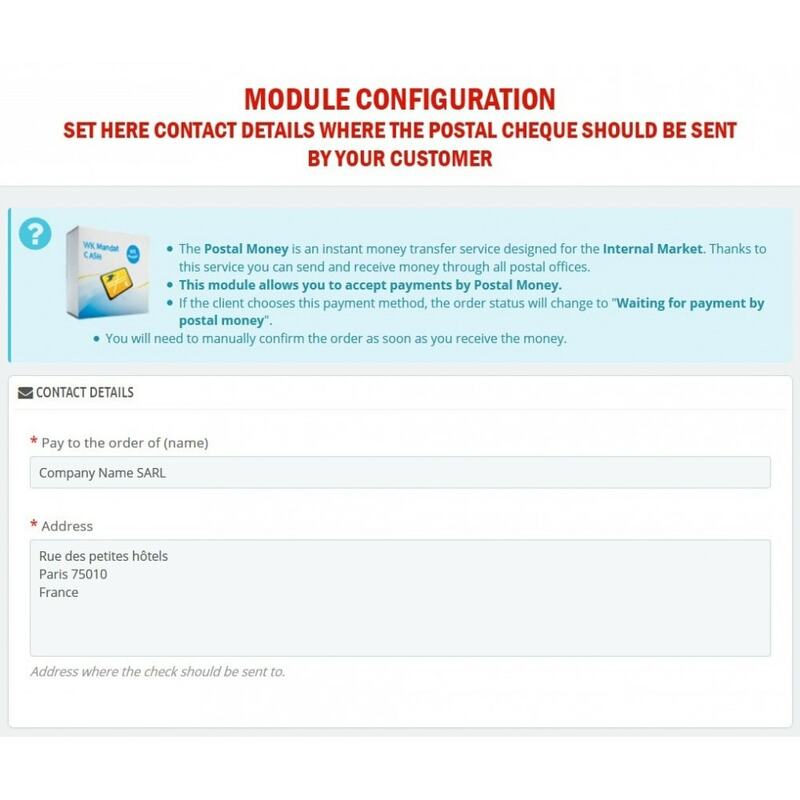 This module allows you to accept and authorize payments made through Postal Money Order, one of the most frequently used money transfer services in the world. In view of the significant risk of fraud that merchants can be exposed to in certain countries, some merchants refuse to accept orders with payment by credit card in these countries. Now, there is a SOLUTION: you can take orders with payment through Postal Money Order with total peace of mind. The Postal Money is an instant money transfer service designed for the Internal Market. Thanks to this service you can send and receive money through all postal offices. 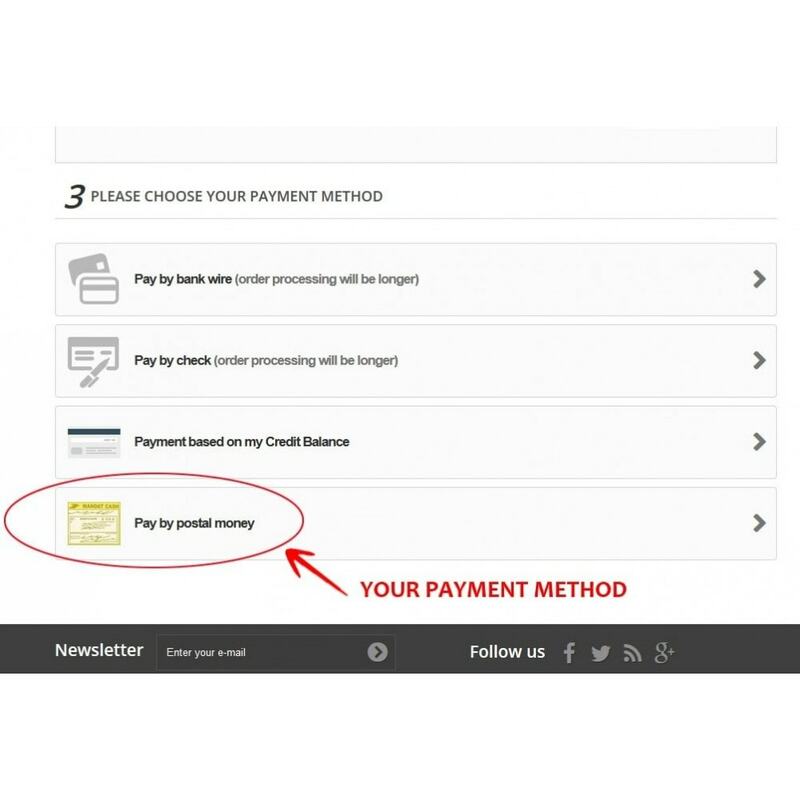 Make payment with new gateway: Postal Money Order. 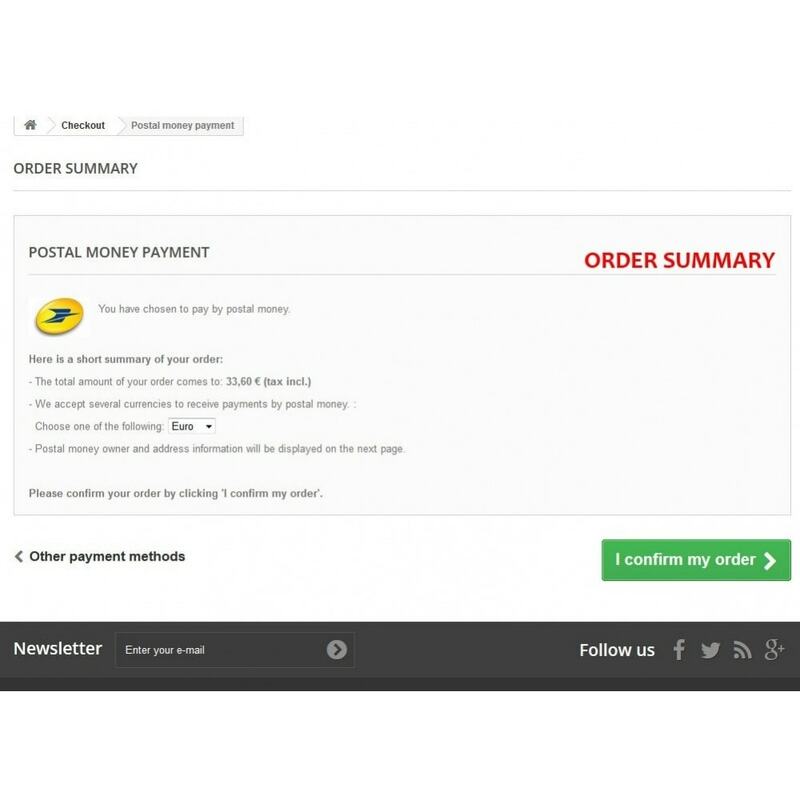 Ability to activate sending email to customers after their orders. 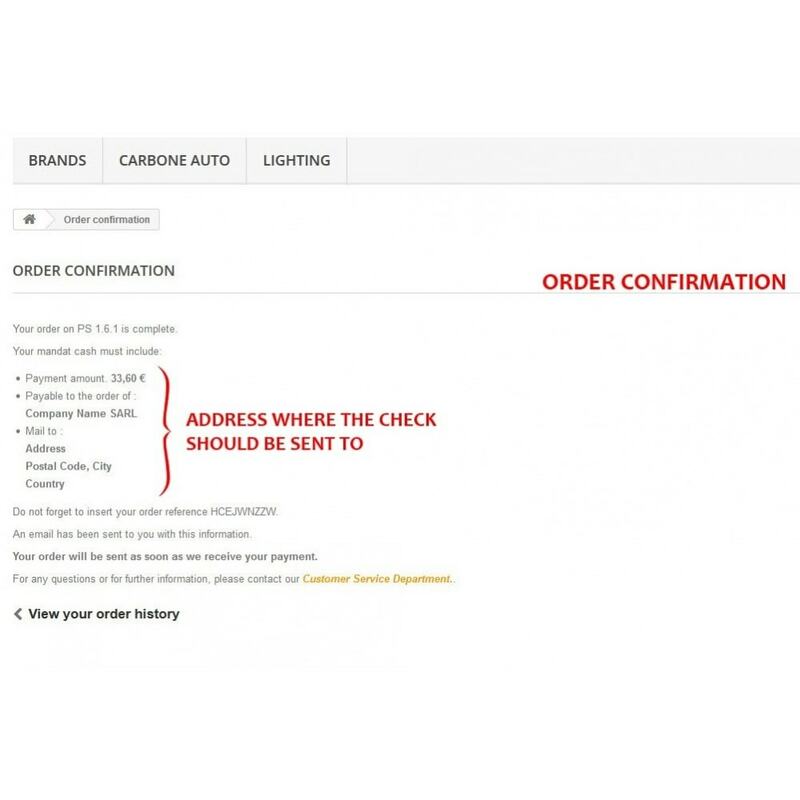 Set address where the postal money cheque should be sent by your customer to with « Pay to the order of (name) ». 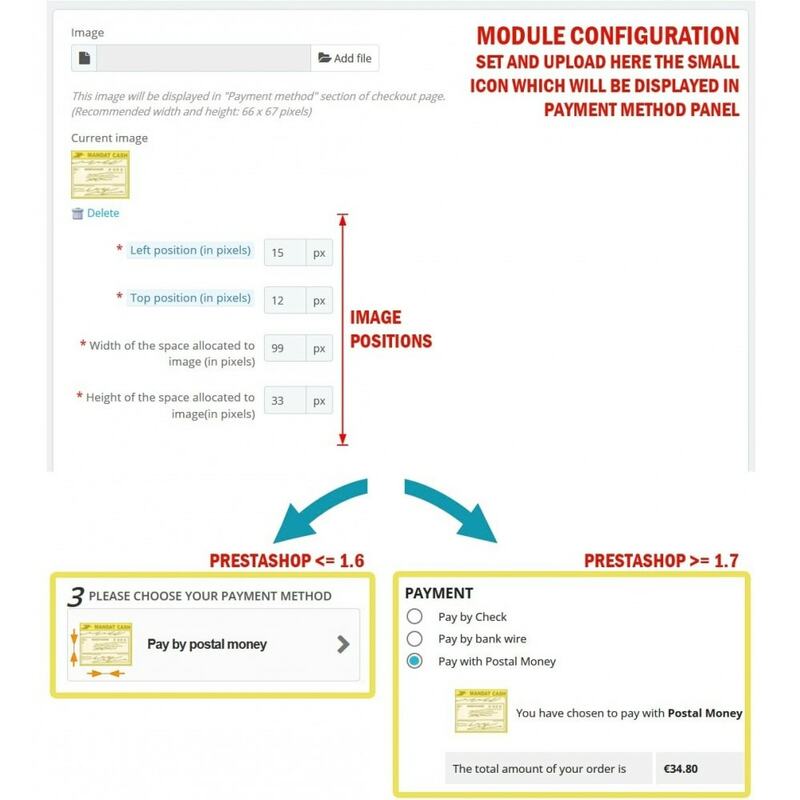 Possibility to set the small image used in Payment method, can be also removed. Set small image positions (top, left, width, height). Set the Postal Money Order Status. Emails that been sent to customers are available in many languages (Italian, Spain, English, French and Germany). 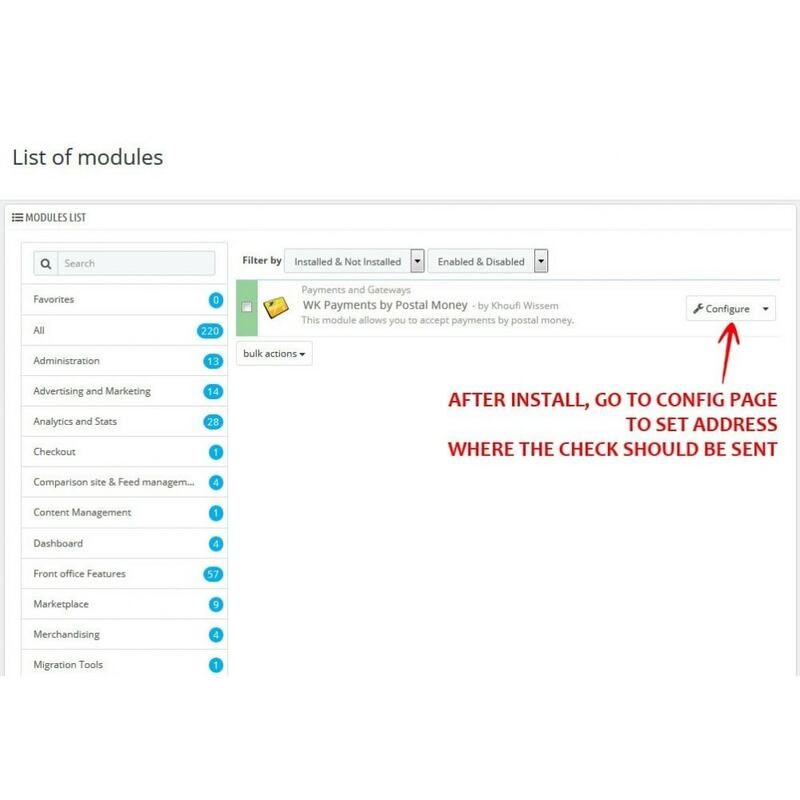 This module allows you to generate EAN codes and/or UPC codes valids and conforms automatically. You ‘ll be able to enter your product catalog and allows you to optimize logistics and process or distribute your catalog on the marketplaces. Improve code and CSS display. 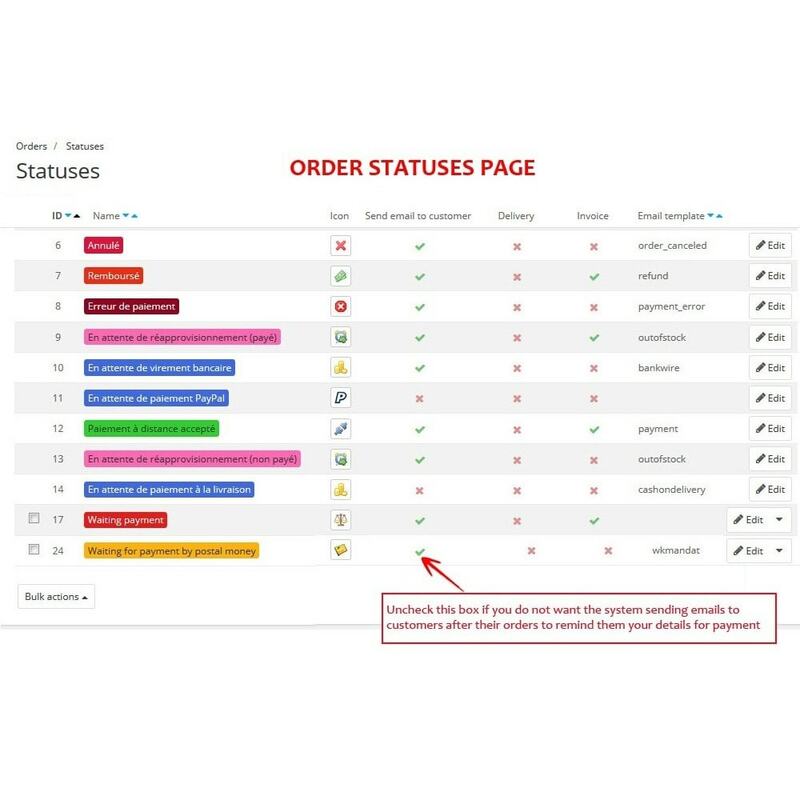 Check and Apply Prestashop 1.7.3 compatibility.